Allyson M. Poska is Professor of History at the University of Mary Washington in Fredericksburg, Virginia. 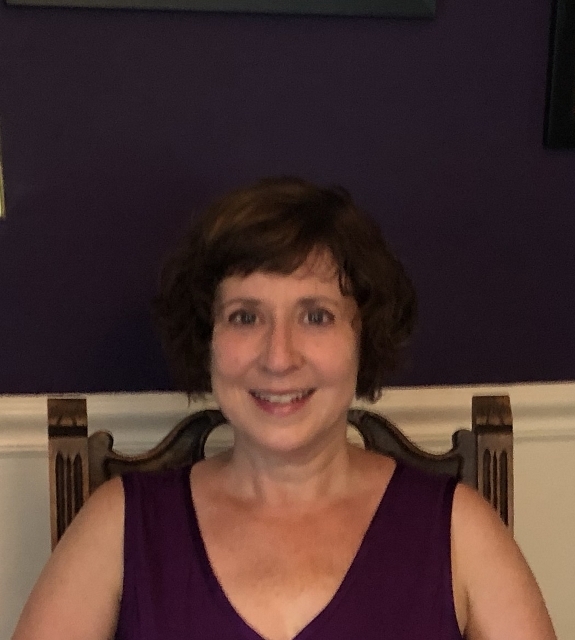 A specialist in early modern Spain, colonial Latin America, and early modern women’s history, I have taught at Mary Washington for more than 25 years. 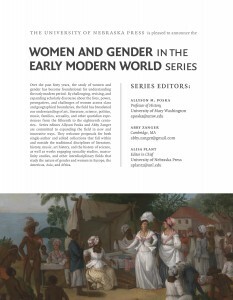 I am the author of five books, including, Gendered Crossings: Women and Migration in the Spanish Empire (New Mexico, 2016), a gendered examination of the Spanish attempt to colonize Patagonia in the 1780s that was awarded the 2016 best book prize from the Society for the Study of Early Modern Women. My earlier work, Women and Authority in Early Modern Spain: The Peasants of Galicia (Oxford, 2005), was awarded the 2006 Roland H. Bainton Prize for best book in early modern history or theology. My research has been funded by a variety of grants including, the National Endowment for the Humanities (2000) and an ACLS/NEH/SSRC International and Area Studies Fellowship (2007). I have been a research fellow at the Rutgers Center for Historical Analysis (2004) and the John Carter Brown Library (2011). I am the first CAS recipient of a UMW Waple professorship. My new project “Contesting Equality: Smallpox Vaccination in the Spanish Empire (1803-1810)” examines the role of race and gender in the responses to the Spanish Crown’s vaccination campaign on the peninsula and the Royal Philanthropic Expedition that carried vaccination around the globe. This project has been funded by the American Philosophical Society, an American Council of Learned Societies Project Development Grant, and a CAORC NEH Senior Fellowship. I have served as a member of the executive council of the Sixteenth Century Society http://www.sixteenthcentury.org/ the executive board of the Society for Spanish and Portuguese Historical Studies http://asphs.net/ and as President of the Society for the Study of Early Modern Women http://ssemw.org/. 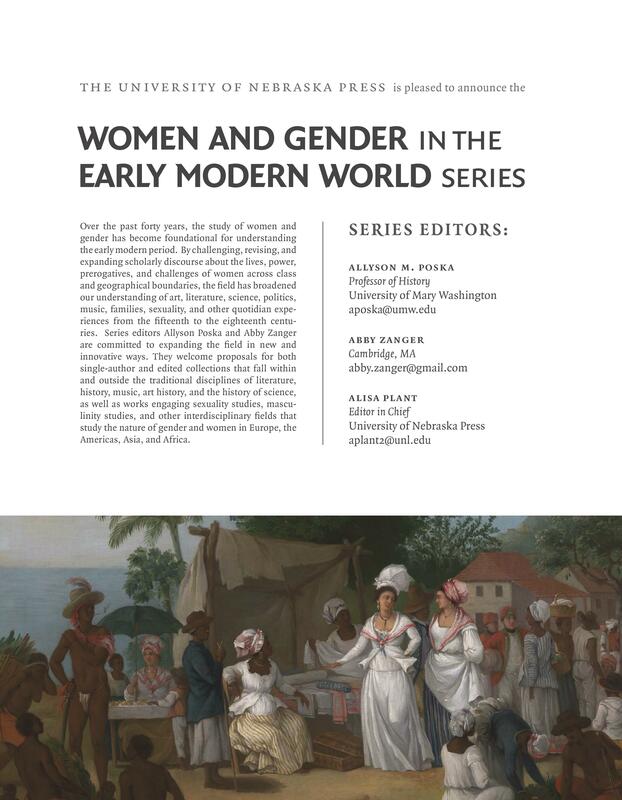 now with University of Nebraska Press http://www.nebraskapress.unl.edu/series/women-and-gender-in-the-early-modern-world/ .